In a parallel universe, there is a Winnipeg styled around a network of rivers, creeks and streams where paddlers drift past stone mills churning grain into flour. In a parallel universe, Winnipeg is styled around a network of rivers, creeks and streams, where paddlers drift past stone mills churning grain into flour. That pastoral scene sounds like a sketch of some European town but it's one that easily could have been Manitoba's capital city. The network wouldn't exactly have rivalled the canals of Venice or Amsterdam, but Winnipeg's waterways would have lent more weight to the River City moniker. Within the area now bounded by the Perimeter Highway, there were once 16 major streams and 20 small creeks or coulees that carried water when fed by heavy rains or spring melt. Some of those creeks went by the names McMillan's, Miry's, Scully's, Catfish, Brown's, Logan's, Pritchard's, St. John's, Inkster's, Taylor's, and McLeod's. 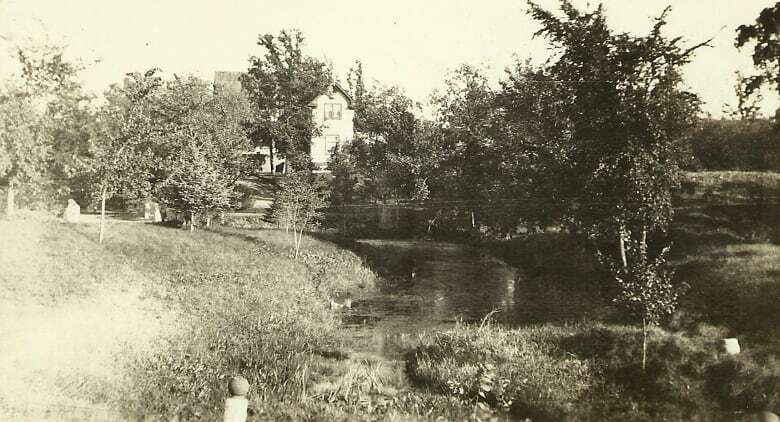 Some were known through the years by multiple names: Brown's was also called Sinclair's Creek and Ross's Creek, while McLeod's was also Mill Creek. Others had none because they were truncated limbs of larger streams or conduits that primarily served as wetland outlets — much of the landscape now occupied by Winnipeg was marshland or periodic wet meadow. 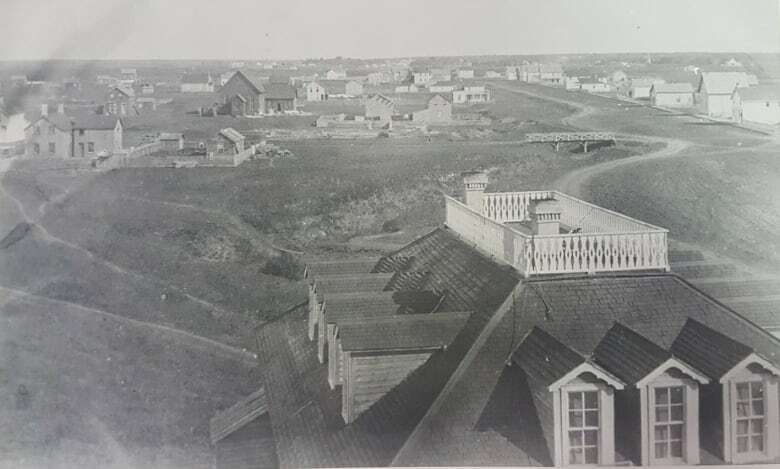 The streams and creeks carved that land, and bowed and twisted as they meandered through farms and fields that are now private yards, city streets, golf courses, and the heart of Winnipeg's Exchange District. They all emptied into the Assiniboine and Red rivers and created a rich, variable texture to the landscape. 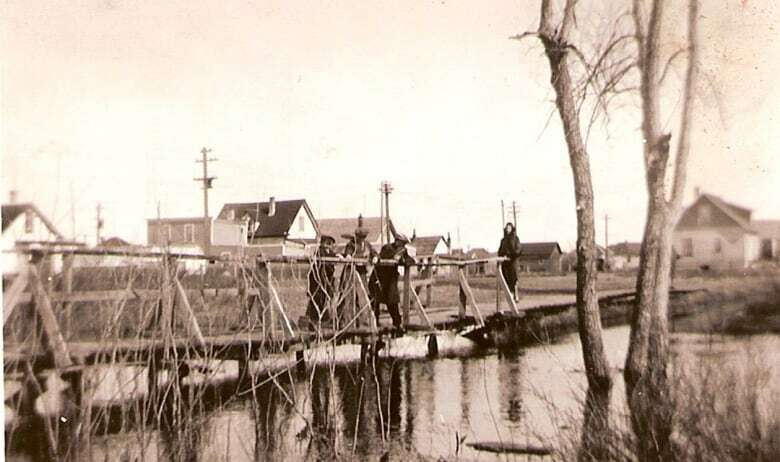 "People think of Winnipeg as being flat but there were creeks all over the place, all parts of the city," said Jim Smith, president and archivist with the North East Winnipeg Historical Society. "That was the natural landscape." The popularity of places like Fort Whyte, the Assiniboine Forest and the Bois-des-esprits, a forested area around the Seine River, suggest people are drawn to idyllic settings if they can find them in the city. Had the old waterways been preserved, "there could have been a lot more natural beauty to enjoy," Smith said. "If we had the foresight back then." The waterways were highly valued by the area's first European settlers, who built mills powered by the currents. The 1838 census, the first to record the colony's millers, lists 14 windmills. The number peaked at 18 about two decades later, with the majority concentrated on the west bank of the Red River, according to the Manitoba Historical Society. Watermills were tied to streams and were more scattered throughout the colony than windmills. By 1856 there were nine watermills in operation. But as the settlement grew into a city, the view on those waterways changed. Instead of continuing to embrace them, early Winnipeggers drained them, filled them in or entombed and rerouted them through storm sewers, and built on top of them. By the early 1900s, Winnipeg was one of the fastest-expanding cities in the world, both in terms of population and construction. The city went from 7,900 residents in 1881 to more than 179,000 in 1921. Due to the cyclical nature of wet and dry seasons, the boundaries of the marshland areas would have changed greatly, and in dry years the marshland would have been attractive for the expanding city. The whole Norwood Flats area is one of those marsh areas, bounded inside an old oxbow of the Red River. Enfield Crescent traces the border of that oxbow. 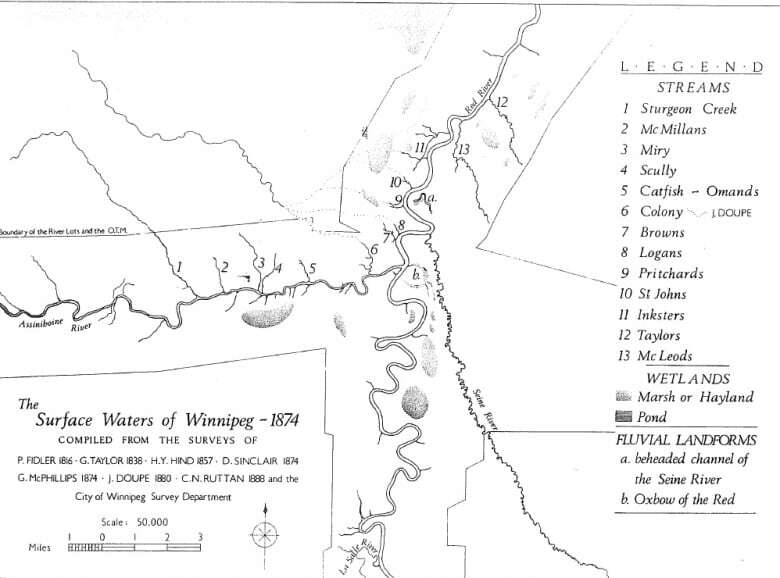 As a result, the natural shape of Winnipeg was altered in the rush of development and lack of environmental consideration, as no legislation existed then to protect the waterways. "People didn't appreciate them then, I guess. They got in the way of progress," Smith said. "I think they have a greater appreciation now but it's too late." Of those 36 original channels, only nine still exist, though even some of those are a fraction of what they once were. Sturgeon, Truro, Omand's, Bunn's, Baldry, and Beaujolais Coulee are chiefly the same length. McLeod's, which once chiseled several kilometres through North and East Kildonan, is a fragment of what it used to be. Selkirk is a short piece of what was originally Inkster's, and Beaver Dam is a scrap of its former self. 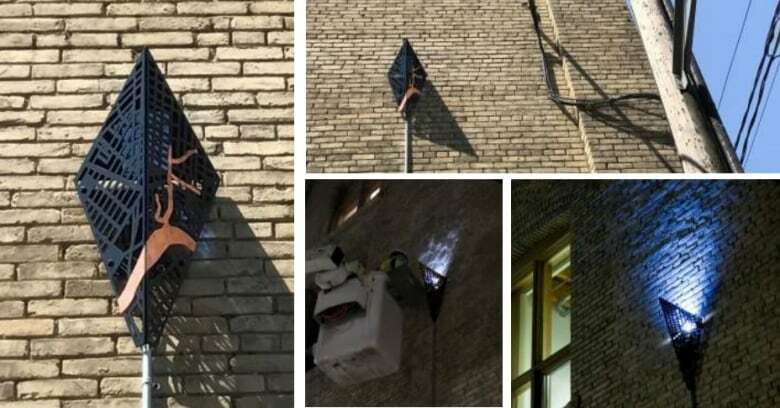 However, traces of even those long-buried contours of Winnipeg's past can still be seen in many places — on Broadway near Osborne Avenue, on the campus of St. Mary's Academy, in private yards, and in parks and golf courses. And a century later, those bygone brooks are still responsible for fracturing the foundations of homes or buildings and collapsing roads into sinkholes, continuing like ghosts of the past to provoke the city that tried to choke them out. In poetic irony, the decision-makers who plugged them also fell victim. 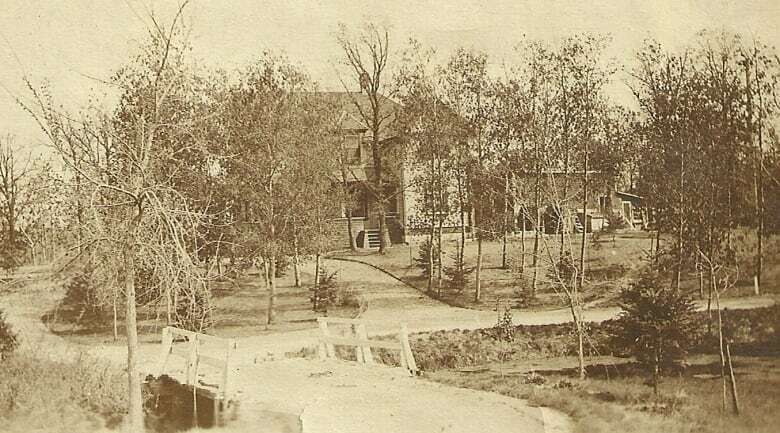 Winnipeg's first city hall sank into the soft bed of Brown's Creek, which once started around Ross Avenue and wound its way across Princess Street to near the corner of King Street and William Avenue. From there it followed William, then went under a wooden bridge at Main Street and continued along John Hirsch Place before angling across to Stephen Juba Park and into the Red River. 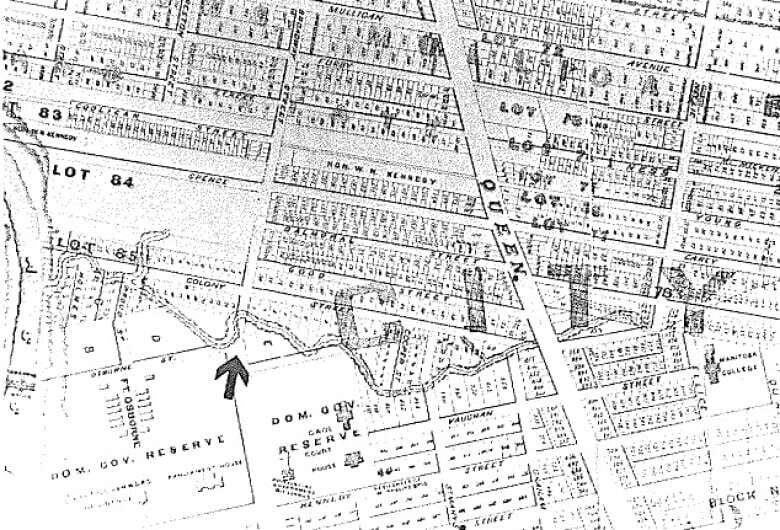 Before it was all filled in by the mid-1890s, the creek also had a small tributary that ran from Rorie Street and went between McDermot and Lombard avenues before merging with the main creek on present-day Waterfront Drive at the foot of Bannatyne Avenue (known for a time as Sinclair Street). 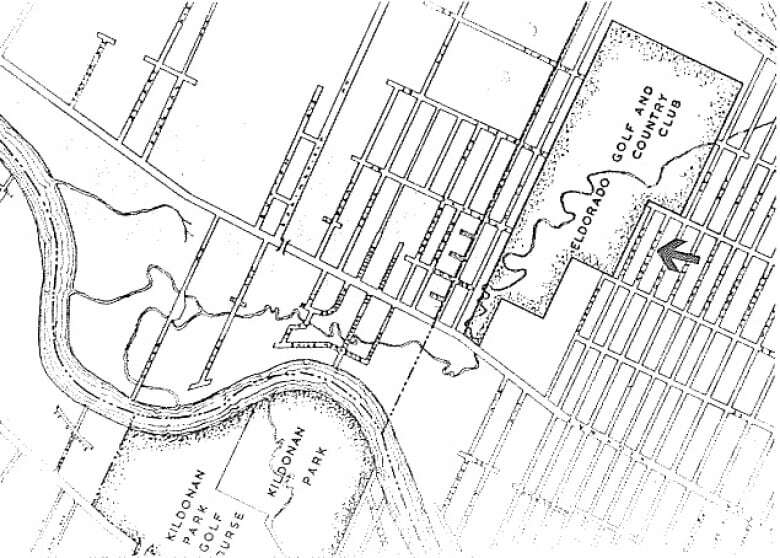 In the 1970s, excavations for housing in the Centennial District, west of Princess Street near Ross Avenue, uncovered the bed of the former creek, still fed by the flow of groundwater, according to Robert Michael W. Graham, who wrote a master's thesis titled The Surface Waters of Winnipeg: Rivers, Streams, Ponds and Wetlands, 1874-1984. 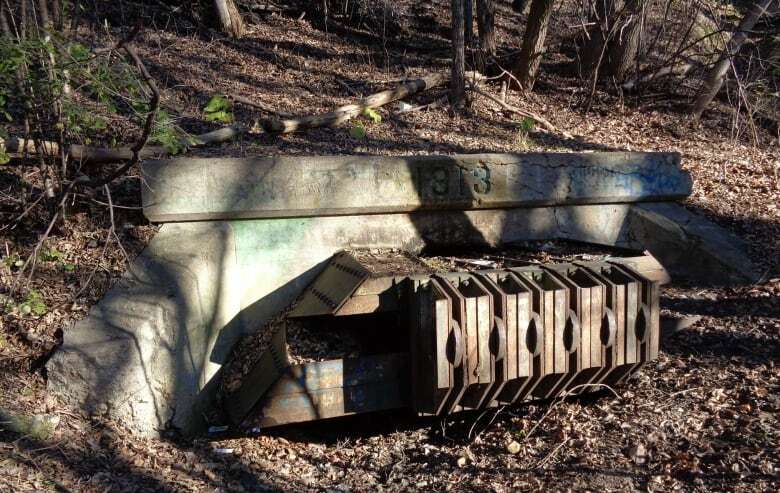 Other structures are still battling the reclamation efforts of those old waterways, such as the Granite Curling Club, built at the edge of the old Colony Creek. "We fill things in but nature doesn't accept that. It still wants to work, to make it happen the way it's supposed to," Smith said. "So then it starts running underground." 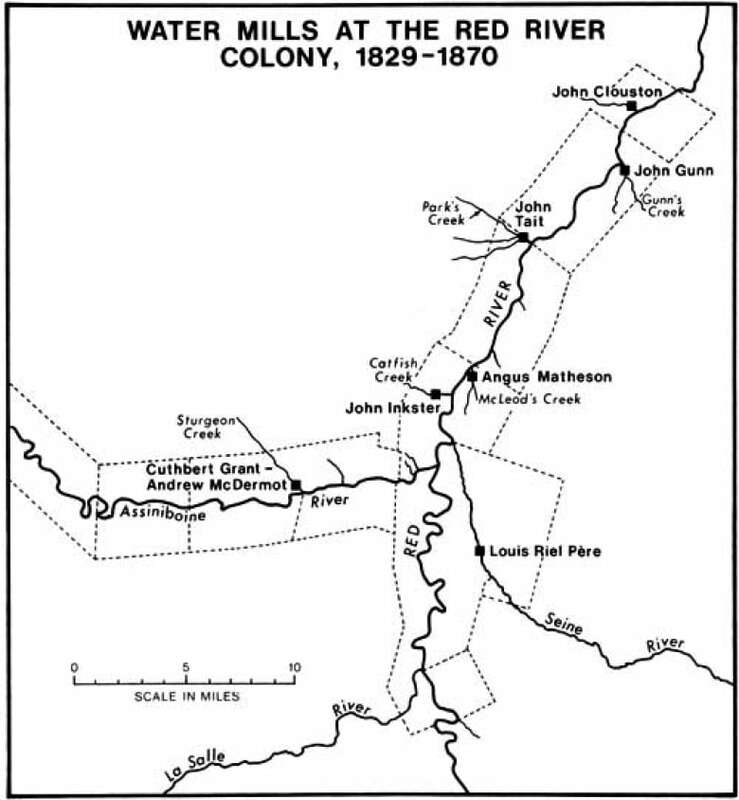 The original Colony Creek originated in the higher lands of the Manitoba escarpment, northwest of the city. Flowing in, its waters spread across the flat topography just northwest of The Forks, separating into multiple arms that drained across the prairie. 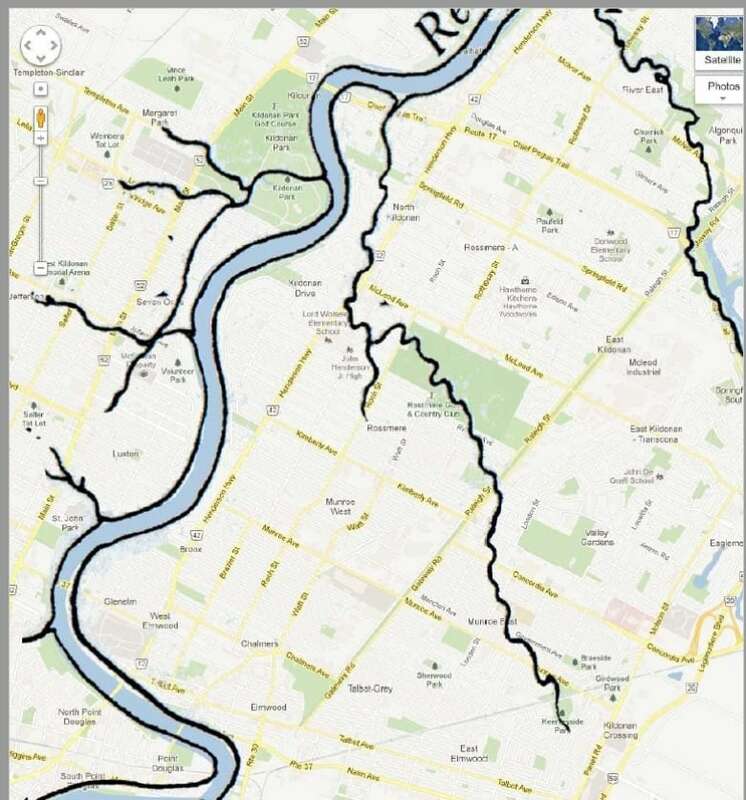 The water finally linked up with the Assiniboine River through several outlets — Colony, Brown's, Logan's, Pritchard's, St. John's and Inkster's creeks. Sturgeon, McMillan's, ScuIly, Miry and Catfish creeks also began at the escarpment. Sturgeon Creek was, and still is, the largest and most mature of those original streams, notes Graham. 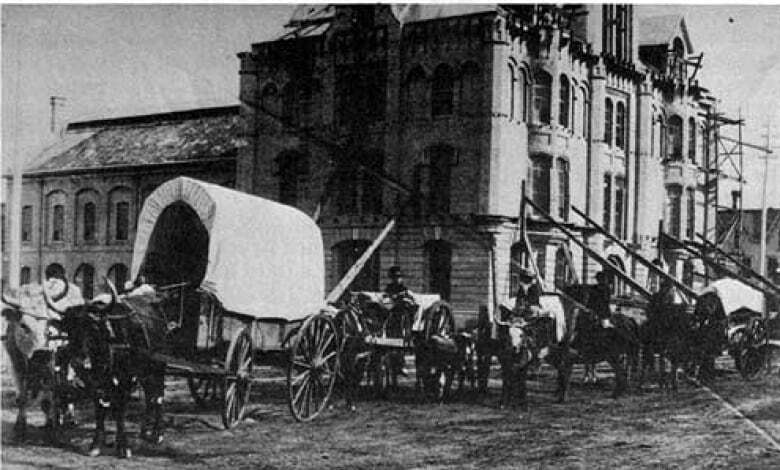 Celestin Thomas built the Winnipeg Brewery in 1873 on the banks of Colony Creek ​at Dingman's Crossing, at the southeast corner of Broadway Avenue and Colony Street. A dip in Broadway, between All Saints' Anglican Church and Great-West Life, still exists today, where the creek's 15-metre wide coulee used to be. As the marshes, which could contain large amounts of surface water, and the deep ravines and coulees were filled in, flooding became a major problem in the wet years. 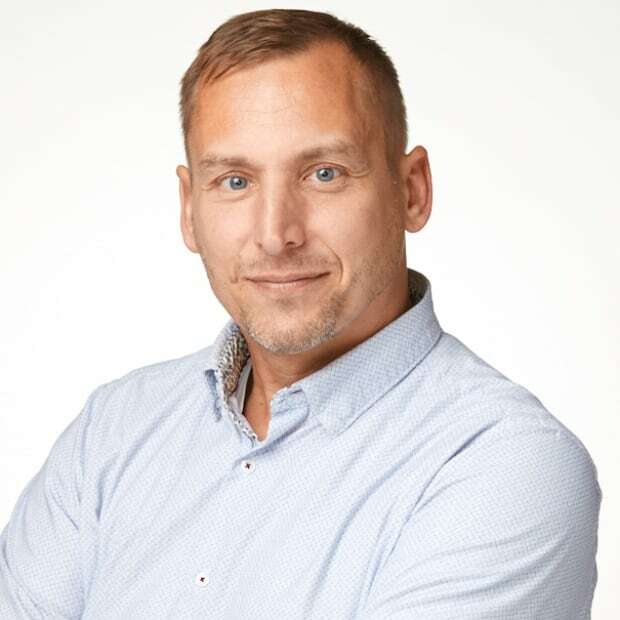 "With regard to land drainage, it is hard to imagine, among the great cities of Canada, a poorer physical site for a large urban centre than that of Winnipeg," Graham wrote. "It has been noted before that had an engineer chosen the site of the future city, the Birds Hill esker or the limestone outcrops of Stony Mountain would have made safer and more logical choices than the poorly drained clay plain." Engineering Iogic, however, played no part in the city's location. Instead, it owes its existence to its strategic geographical location at the junction of the Red and Assiniboine rivers, which was ideal to the business of the fur trade, Graham wrote. The 1860s were dry or average years and the serious implications of the continued encroachments into the floodplains and the coulees did not begin to appear until the wet years of the late 1870s and early 1880s. "But once man has invested his time, energy, and money into the alteration of a natural waterway, there is, the experience of history teaches, no going back," Graham wrote. "From that point onwards all actions are stop gap and ad hoc." The city scrambled to create a series of culverts and sewers to alleviate the flooding issues, much of which came from Colony Creek as it spread and sought out its six linkages to the rivers. The city had expanded onto the watershed and was in the way. So its politicians turned to the province for help and the province, in turn, requested the assistance of the Dominion government. The diversion known today as Omand's Creek was the result, according to Graham. 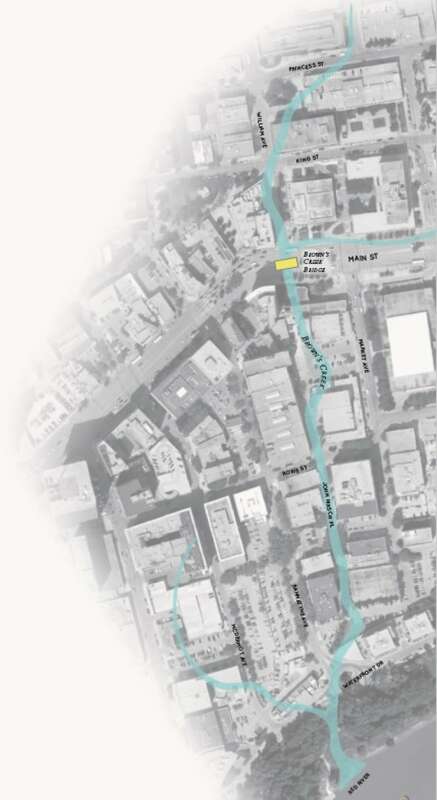 The city's engineers created a system of drains that linked Colony Creek to Omand's, which was then routed through the 10-metre wide ditch we see today running from Notre Dame along Dublin Avenue, and adjacent to Empress Street. It starts out winding through fields north of the airport and then Brookside Cemetery, before becoming a rigid channel through the St. James industrial area and past big box stores. The location of the original and natural full path of Omand's Creek is a matter of speculation, as it has long since been backfilled, developed and occupied, Graham wrote in his thesis. 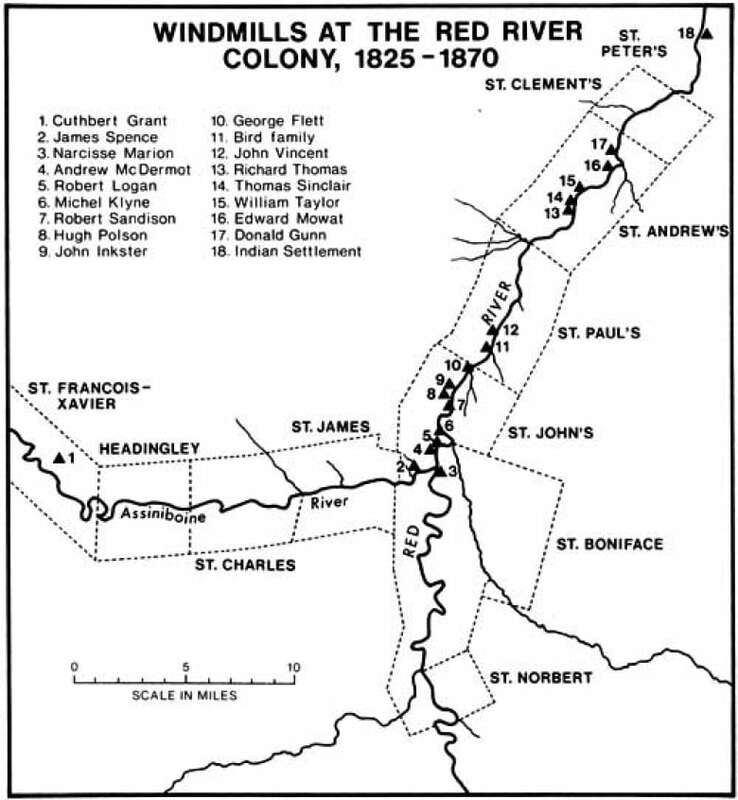 That diversion eliminated the source for six other major streams in the Winnipeg area: Colony, Brown's, Logan's, Pritchard's, St. John's and Inkster's. Left susceptible to erosion, the empty beds of the streams and coulees became viewed as a nuisance. "Within 20 years only traces would remain of many of their original courses. Residential lots were subsequently laid down and built over their former courses, sewers laid in or adjacent to their beds," Graham wrote. Aerial photographs taken of the city in 1927 show most of the stream courses had been obliterated or were remnant only, he wrote. With the natural drainage and water-storage systems eliminated, the city is now forced to recreate those functions by building retention ponds. "We were short-sighted back then and now we've got this expense of trying to replace what was already there," said Smith. A keen eye can still locate remnants of some of the old waterways, while others have been marked by plaques or other monuments that pay tribute to what was once there. "Quite often you'll see on a street a low area, which is an indication there was a creek there," said Smith, noting there are several places like that along Henderson Highway. One of those in the Elmwood neighbourhood, running through the Kelvin Community Centre and over toward Chalmers Avenue, is the vestige of a former channel of the Seine River, much like the Norwood oxbow. According to Graham's thesis, there are several relics of the old creeks. 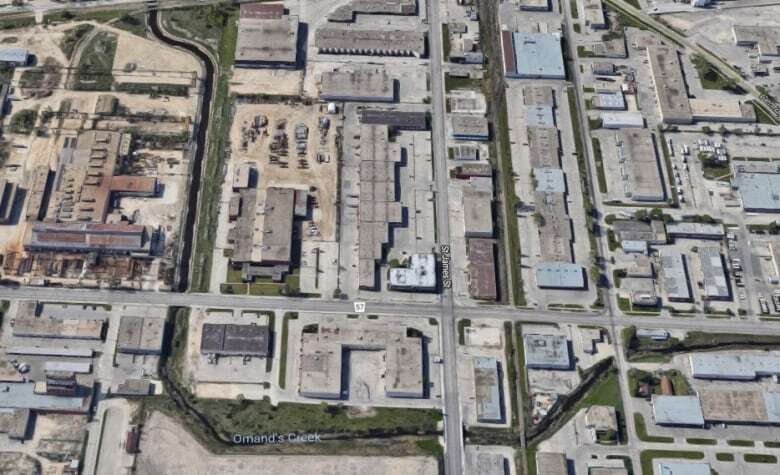 Traces are seen in a dip in Portage Avenue at Overdale Street and in a small wooded coulee immediately south of the roadway. A dip in Portage Avenue west of the Truro Creek culvert is all that remains. A plaque mounted on a carved stone lion's head at a bend along John Hirsch Place in the Exchange District acknowledges the location. Light fixtures along John Hirsch Place, erected in the past year, celebrate the former Brown's Creek with a rippling water effect cast onto the brick. The still flowing groundwater meets the river in a storm sewer outlet in Stephen Juba Park. 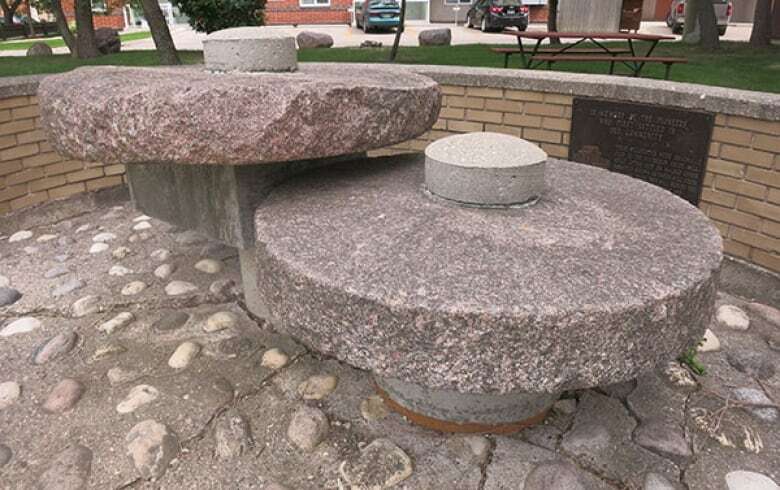 A pair of stones used for grinding grain in a gristmill that operated along McLeod's Creek between 1860 and 1870 are displayed in a small park at the corner of Edison Avenue and Henderson Highway, along with a plaque. The creek originally extended for kilometres through marshes and drainage runoffs. It was buried in culverts around 1913 as part of the construction for the Canadian Pacific Railway's Bergen line. Only a small portion remains within the Rossmere golf course and another short section at the mouth where it meets the Red River. The approximate site of this stream's mouth is marked by a cairn commemorating Fort Douglas, just north of the Alexander Docks. A small wooded coulee lies just behind the cairn, which Graham believes may be a remnant of the former streambed. 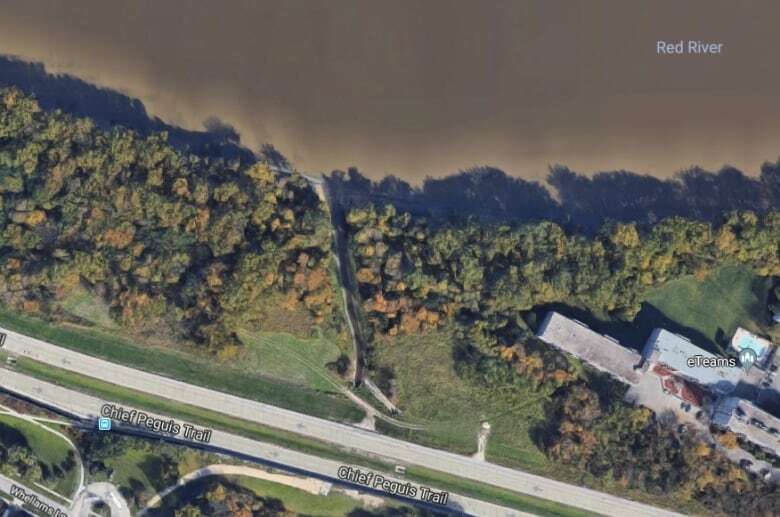 Only a small indentation in the Red River near the former Pritchard Boat Yard indicates the creek's former mouth at the Red River. The marina was built over it but that was torn down about two decades ago and is now a park. The rest of the streambed was built over at the turn of the century after the Colony Creek diversion cut off the major source of its flow. Traces of the coulee of St. John's Creek can clearly be seen in St. John's Park. A storm sewer carries off floodwaters in the coulee bed, which was also the spot where Lord Selkirk landed in 1816. A remnant still flows through Kildonan Park as Selkirk Creek. The presence of the former creek can also be seen in many depressions in roads in the Luxton area, from north of St. John's Anglican Cathedral to the Battle of Seven Oaks monument. The creek was a multi-branched one that was fed in three places by the Colony Creek. Two limbs went west from the Red River through Kildonan Park and Shaarey Zedek Cemetery in the Margaret Park neighbourhood. Another ran parallel to the river through Luxton, intersecting with the branch that went up Inkster Boulevard. Slight traces of the depression that marked the location of Inkster's MiIl Pond and the flume to the Red River can still be seen. Truro Creek exists today and carries water from private stormwater sewers. Its floodplain, north of Portage Avenue, is now used as a park. South of Portage, some the floodplain has been encroached upon by development in Bruce Park, but it remains undeveloped where it meets the Assiniboine. 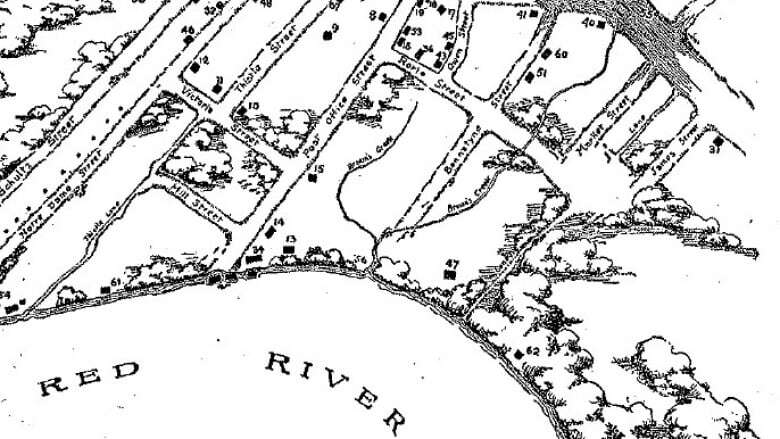 First called Catfish Creek, it was where Cuthbert Grant and others rested before the Battle of Seven Oaks in 1816. It was later named after John Omand, who farmed near the mouth for nearly 50 years in the later 1800s. The diversion of 1880 still exists in the same configuration originally excavated. The upper reach of Colony Creek has been dammed within Brookside Cemetery to protect downstream development from floodwaters. Although extensive housing has developed along its length, the floodplain has been preserved and was designated as a provincial waterway in the 1970s to protect it. 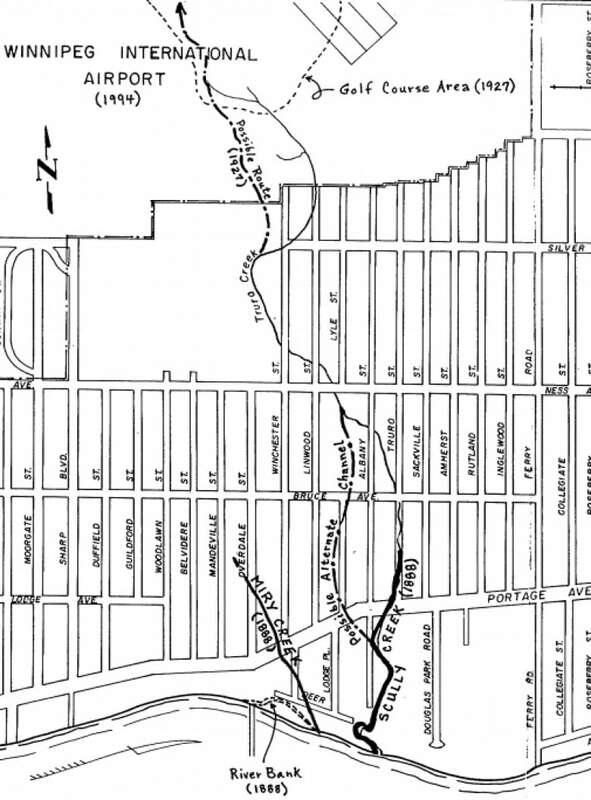 The creek's path was slightly altered to straighten some of its contours when Bonner Avenue was being put through. According to Smith, the winding creek would originally have crossed the path of Bonner in three places but now it does so only once. A fragment of this small stream was preserved due to late development in the Charleswood area. It serves dual usage as a park waterway and storm drainage outfalI. Once an extensive coulee and stream, Baldry has been excavated and developed into a retention system for the Fort Richmond area. It still exists in much of its original condition, nestled between the St. Norbert Community Centre and a condominium building.